Mock STBrand Story Mock ST is an entry-luxury brand of fresh boutique jewelry started from 2015 with a young and vibrant team, specializing in high grade accessories for a youthful crowd. Through one of a kind quality designs, Mock ST is relentless in efforts of becoming an iconic brand that stays around for centuries to come. We have opened our stores on the United States, Russia, Canada, Britain, Japan, and other 25 EU countries, and become more and more popular all over the world. 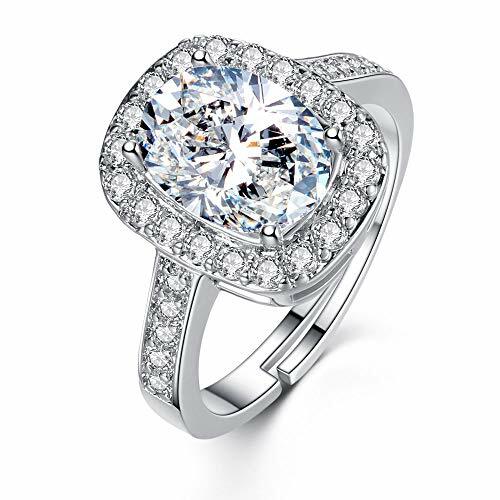 Material: Platinum Plated; Sparkling Cubic Zirconia Diamond. 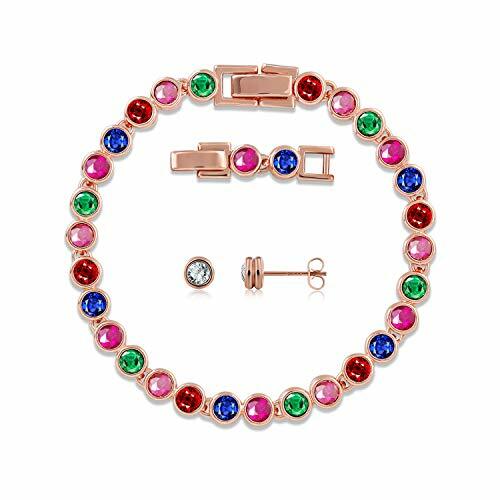 Size: Adjustable PACKING: Every pieces of jewelry Mock ST sell comes in a generous gift box. Adorable packing is perfect for some special occasions or as a storage for your own jewelry. DESIGN INSPIRATION: CZ Cubic Zirconia Design, perfect combination with silver and crystals Everyone deserves to look and feel beautiful, Wearing the TOP Level Stunning Swarovski Crystals. 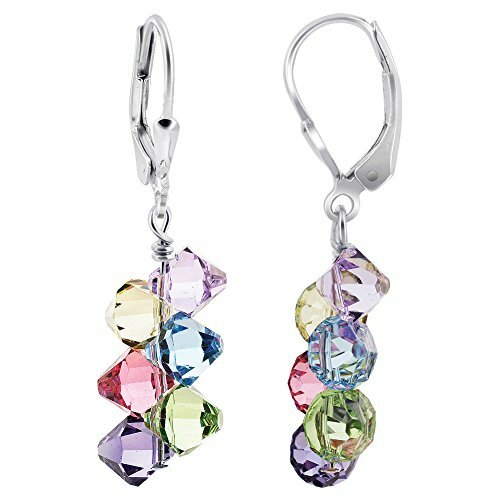 Excellent Cut, Enjoy the dazzling sparkle from the crystal stud earrings. Stunning Jewelry for Versatile You! 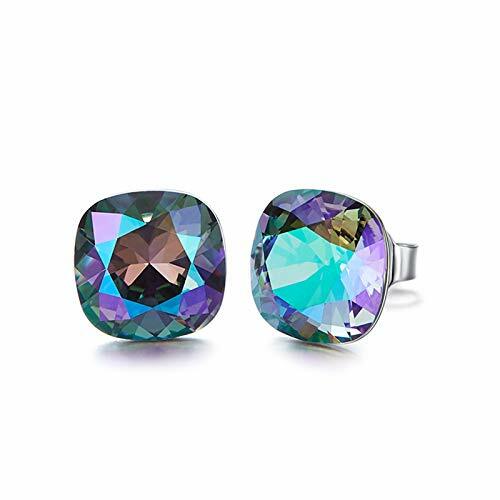 The cz zirconia halo studs earrings is made with Swarovski Crystals. It's famous for its unique sparkle. Each item is a precious artwork, great to fit everyone perfectly. Strung with sparkling clear crystal, has a beautiful light-catching effect, can be layered with your daily clothese or other styles for an on-trend look. 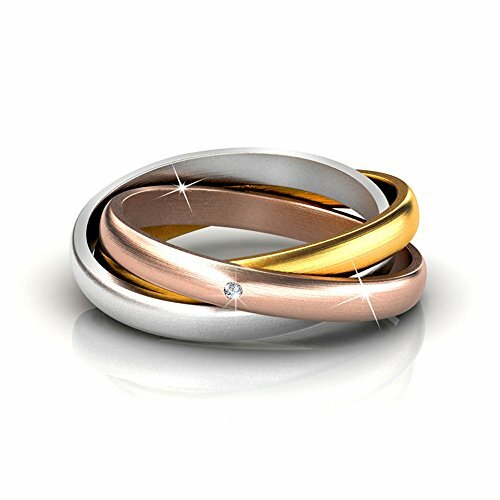 OCCASIONS: Elegant HIGH-END design goes well with any outfit in any occasions like WORK/BUSINESS/DATING/DAILY/TRAVEL/SCHOOL/WEDDING,PARTY, and you will feel COMFORTABLE to wear it. 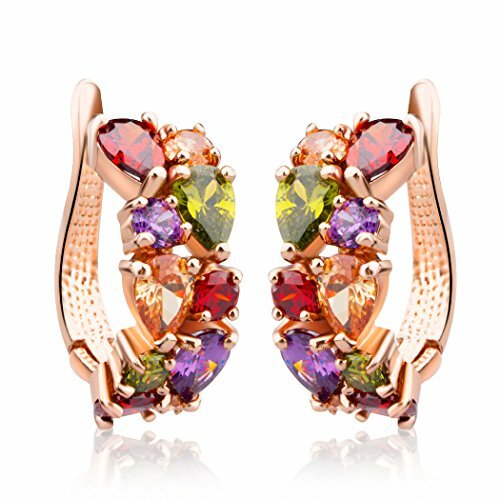 GIFT OF LOVE Stylish collection, the earrings for women is also an ideal gifts for Christmas gift to yourself, girlfriend, wife, daughter, sister, mom or friends; member's birthday, anniversary gift, bridesmaids gifts, Mother's Day. Don¡¯t hesitate to get one right now! These delicate earrings are a perfect accompaniment to any matching necklaces and bracelets. The cool hues in it perfectly complement each other, causing beautiful reflection and sparkle. The dangle allows for movement and visual interest. A sure hit with that perfect outfit at work, school, or a special occasion. Remember to check out our complementing silver items for a perfect ensemble. Measures approx. 1.5 inches in length from top of lever to bottom of dangle. This item will be shipped in a gift box, perfect for surprising that special someone. 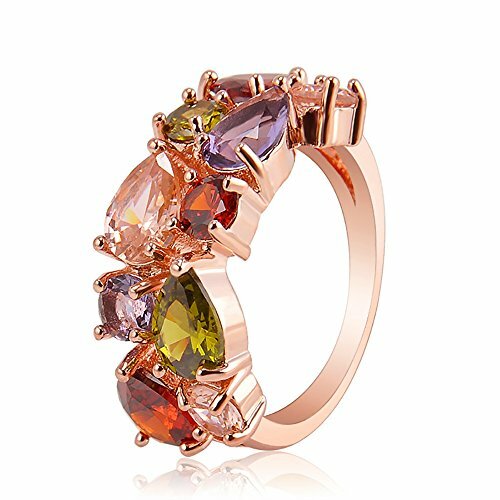 Sterling Silver Ring Sz 7 Made with SWAROVSKI Multi Color Crystal TGW 1.92 cts. 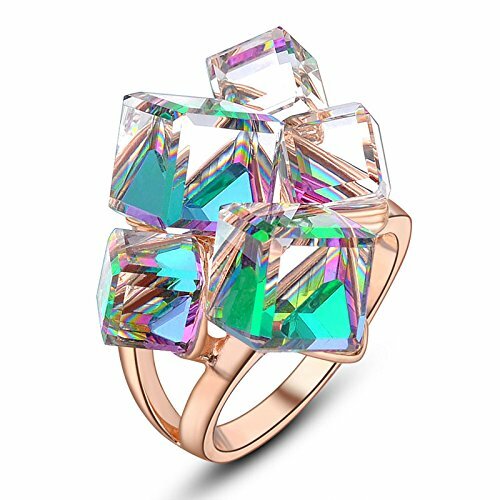 Want more Multi Color Swarovski Crystal Ring similar ideas? Try to explore these searches: 4 Seasons A/c Accumulator, New Womens Clear Crystal, and Cute Easter Bunny.